If it's possible for a book to be exceptional and significantly disappointing at the same time, Flash: The Road to Flashpoint is that book. The story is action-packed and emotionally complex, and beautiful, to boot; however, it fails as the next volume in the Flash series, if not also as a lead in to the Flashpoint crossover. Knowledgeable readers won't find what they're looking for here, and the casual reader is likely to be confused. A word, first, about the art of Francis Manapul. His airy pencils will always be synonymous for me with his depiction of rural Smallville in Superboy: Boy of Steel, such that his Central City also seems old-fashioned, more 1950 than 2011, despite the prevalence of cell phones in this book. Despite this, Manapul's lines are clean; his action sequences exceptionally clear; and the women that he draws in the book, specifically, are all pretty without sexual gratuity. (Scott Kolins does an equally good job mimicking Manapul in his fill-in sequences, with neither artist inking over their pencils). What would comics look like, I wondered, if Francis Manapul drew everything? What would the public perception of comics be? It's unfortunate, I think, that what we find in Flash is the exception, and not the rule. The story itself involves Flash (and forensic scientist) Barry Allen in a rather intriguing mystery, at least to start. Super-powered children are showing up dead, unnaturally aged; the first is a new "Elongated Kid" wearing a variation of Barry's late friend Ralph Dibney's old costume. This alone should be enough to hook most Flash fans, and writer Geoff Johns is at his best when a police officer asks if Barry recognizes the costume and Barry, in plain clothes, must utter a simple "no." It's a quiet and painful moment, the first of a number of such in this book. Unfortunately, abandon hope all ye hoping for much clarity after this point. A motorcycle-riding speedster named Hot Pursuit emerges, chasing a time anomaly related to the murders. Pursuit reveals the details of the situation to Barry in an elaborate speech over the course of one issue, but then inexplicably refuses Barry's help in solving the case. In the conclusion, Pursuit mistakenly believes Kid Flash Bart Allen has caused the anomalies, for no good reason this reader could understand; it turns out to be Professor Zoom, conducting "experiments" that also involve him de-aging himself. Why does Pursuit take up half of one of the scant four issues of this story (a fifth issue is devoted to a Professor Zoom profile) to explain to Barry a situation for which he doesn't want Barry's help (other than Johns offering exposition to the reader)? What value is there to Professor Zoom to becoming a kid and pretending to have witnessed a murder for an issue? Why does Pursuit think Kid Flash is a "time anomaly" when as far as Flash and the reader are concerned, he isn't? None of this is explained in the book, couched in Zoom's "secret plans" and vague "you'll find out soon enough" statements. It's a reasonable expectation that some of these items might be addressed in Flashpoint itself, this book being a prologue to that. However, the phrase "Flashpoint" never warrants a mention in Road to Flashpoint, despite that Pursuit mumbled about it to himself in the previous volume, Dastardly Death of the Rogues. Road ends on a rather uncertain note -- Zoom says, "It all changes," a lightning bolt strikes, and that's it. A casual reader, at this moment, knows no better whether Flashpoint will be about alternate realities or a Sun-Eater; some surprise is good, but at this same penultimate point in Green Latern/Blackest Night, I felt the reader had a better sense of the story as a while. I count that as a failing of this as a prologue. What Johns does well here is present Barry's emotion. Barry has struggled since his rebirth (or, Rebirth) to engage with his family and not withdraw, feeling he doesn't deserve his new life. Learning Zoom killed his mother in the past because of his hatred of the Flash was another significant blow, but not one much mentioned in the previous volume. That revelation is now in the forefront; Barry pulls away from his family for fear of enticing Zoom to kill one of them, too. It's an interesting time-traveler's dilemma, and at the same time Barry's depression seems very real -- he can't enjoy a family picnic, for instance, because he imagines his mother there and feels her absence is his fault. Barry's wife Iris stages a speedster intervention, and Johns paces the scene with a slowness that conveys the seriousness of the moment. All convincing and moving. Only, Barry's sorrow over his mother really isn't mentioned all that much in Dastardly, and this issue of Barry pulling away from his family is one seemingly already solved in Rebirth. Barry, it seems, is regressing, and to Road's credit that's a point Iris makes within the book. But why? Are we to attribute this to the secret emotional weapon that the Rogues used in Dastardly? If so, the book never even hints at it -- nor do the Rogues appear here at all, nor Captain Boomerang, who was so much a part of the last book's cliffhanger. In terms of solid storytelling, Road to Flashpoint succeeds, but in terms of a sequel to Dastardly Death of the Rogues, it emerges largely disconnected -- not a satisfying reading experience in terms of the Flash book. Similarly, and perhaps by necessity as a lead-in to Flashpoint, Road doesn't offer much closure for the Flash series -- there's the absence of the Rogues, to start, but also the reintroduction of Barry's old flame Patty Spivot. The informed reader knows Patty plays a role in the DC New 52 relaunch version of Flash -- creating a strange relationship between new Flash and old -- but the casual reader may have trouble determining what Johns tried to say with all of this. Road to Flashpoint is, in a sense, a fair preview of the series that replaces it, perhaps, but not an entirely solid package on its own. 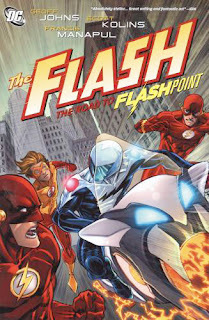 Crossover-mad fans (like me) will undoubtedly feel incomplete without Flash: The Road to Flashpoint on their shelves next to the main event, but the story was less than what I'd hoped for -- a tease, more than a lead-in, to Flashpoint itself. New readers drawn to Flashpoint by news of the DC New 52 might not feel they miss much if they leave Road to Flashpoint back on the shelf. Unfortunately, Road to Flashpoint wasn't the lead-in to Flashpoint that I'd hoped -- then again, Salvation Run and Countdown to Final Crisis weren't so stellar lead-ins to Final Crisis, either. Coming up later this week, however ... the Collected Editions review of Flashpoint. Don't miss it! I tried to like Road to Flashpoint, and there were certainly elements that I enjoyed, but ultimately I found it a mediocre, unsatisfying, empty story that could have been so much more than it was. 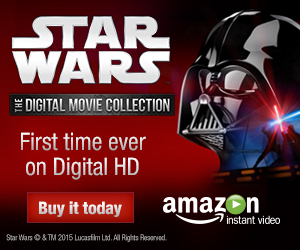 As one story in a long run, it would have been forgettable, but forgiveable. As the second half of a short run, it's frustrating, and as the last gasp of the pre-Flashpoint era, what dominates my thoughts about it are all the missed opportunities. So disappointed to hear this. Looking forward to the Flashpoint review, although I generally just skim the start and end of your reviews of books that I haven't read yet, to see if it's a positive or negative (then go back and read them once I read the book). Because I'm reading the New 52 digitally, I was considering picking up the Flashpoint hardcover, rather than wait for the paperback, as it seems like some of this "alternate-reality" Flashpoint is in fact the new reality (like Green Arrow, I believe? ), and I don't think skipping past Return of Bruce Wayne and Brightest Day will really come into play for Flashpoint. Can anyone confirm if this is the case? Is Flashpoint largely self-contained, or is something like Brightest Day a recommended read for it? Regarding the Flash, I haven't read the new series yet (wanted to read this Geoff Johns series first), but I'm really hoping that it's a return to fine form for the Flash franchise. Flashpoint is basically stand-alone. It doesn't rely on any of the other big DC stories to set it up, though Flash: Rebirth helps (IMO, more than The Road to Flashpoint). As for the new series, so far I'm liking it better than the Geoff Johs series -- or at least better than the second half. I quite enjoyed The Dastardly Death of the Rogues. I got the Flashpoint hardcover for my birthday yesterday. I'm still leading up to "The Return of Bruce Wayne" in my paperback reading, but I do have the full Flash series digitally ($0.99 sale!) so I might skip ahead, read that, and then Flashpoint. That will bring me up with The New 52 that I've been reading, and then I can go back to waiting on the Bruce Wayne/Brightest Day tie-in softcovers (I got the main BD series on another $0.99 sale).